Written by APM Construction Ltd on 13 February 2019 . 2019 is already upon us and we are well into the new year. Last year was another fantastic one for APM. We have been very lucky to have worked with lots of lovely clients and have achieved amazing results on some very interesting projects. We also have a new van - keep your eyes peeled for it around town. We have been very fortunate to work for some returning customers again. At the moment, the team are busy working on another loft conversion in Broadstairs. It's then onto a renovation project, amongst many other jobs & projects.... It's going to be another hectic year! Looking forward to the months ahead, the diary is quickly becoming filled up. If you require our services please call us sooner rather than later as we have very little availability left for certain dates. We are just in the process of updating our photos & customer feedback so watch this space! Written by APM Construction Ltd on 14 June 2018 . Well summer is underway...although I am not too sure when this heat wave is meant to be starting??! Be prepared and ready to enjoy some summer sunshine in style this year! Written by APM Construction Ltd on 03 January 2018 . It can feel a little depressing this time of year.. dark nights, cold wet weather and those dreaded New Year resolutions that are sometimes impossible to keep. If it's a fresh start you fancy, why not bring your spring clean forward and book in that new kitchen or bathroom now. Our suppliers are offering fantastic deals on both kitchens and bathrooms at the moment. Give Laura a call to find out more 01843 866 934. 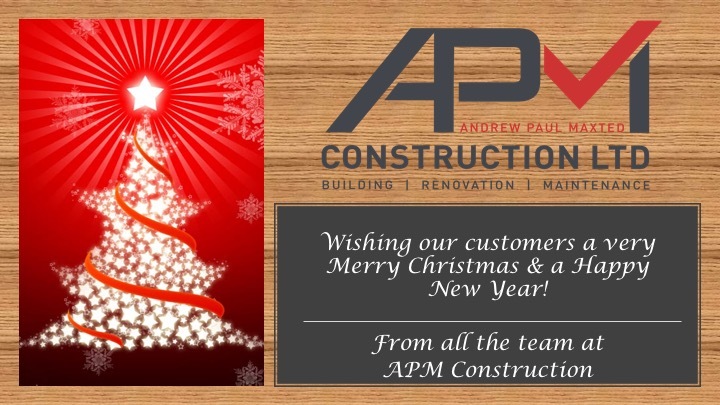 Written by APM Construction Ltd on 21 December 2017 . Well what a busy year it’s been... where has the time gone?!! We have a lot of new and exciting projects planned in 2018. Our diary is booking up quickly so if you’re in need of anything be sure to give us a call sooner rather than later. Thank you to our customers past and present, as well as our suppliers.We are looking forward to another busy year ahead. From Andrew, Laura and the team we wish you a very relaxing and Happy Christmas....see you in 2018! What does CERTASS mean for our customers? Written by APM Construction Ltd on 19 September 2017 . How to pick a Competent Person Contractor? We are now proud member of CERTASS. Andrew, Director of APM has passed the MTC competence exam & site survey, we have also undergone a strict company audit. Since completing this we now have the ability to self-certify our glazing installations, this certification is required when selling your home. Certass is a UKAS approved certification scheme that checks individual contractors and companies competence against set standards. For more information please see our 'Services' for more information on what this means for our customers. Written by APM Construction Ltd on 23 March 2017 . Spring is well and truly here at last. Gardens are coming alive with new flowers and the daffodils have sprung to life. But if your garden is looking a little tired or you fancy a change in time for summer? Then don’t forget to give us a call. We provide summerhouses, patios, decking areas and so much more... Give us a call today to arrange a no obligation quote. Get the perfect garden in time for those hot summer days and family get together’s!! Written by APM Construction Ltd on 07 February 2017 . It was an early 4am start for the APM team as they set off to the National Exhibition Centre in Birmingham last week to assemble the handmade units they had built for Crystal Magick. Everything went to plan and our client is once again extremely happy with the final display. We hope they have had a very successful show, back up again on Friday to dismantle it all! Written by APM Construction Ltd on 05 January 2017 . Written by APM Construction Ltd on 13 August 2016 . What a scorcher it's been recently, a great time for enjoying summer in our gardens and outside spaces. But is yours looking a bit tired and unkept? Do you need a little inspiration and ideas for improvement? If so give us a call for advice whether its landscaping the garden, new decking or to design an outbuilding, we offer a free no obligation quote - at a time to suit you. Written by APM Construction Ltd on 13 May 2016 . If you are, then you have made a wise choice as research has shown that converting your loft space or adding an extension will add significant value to your home. As a rough guide for instance a loft conversion can add as much as 20%. Well worth considering with property prices on the increase. Give us a call today to discuss your plans on 07950285473 or our office 01843 866934. We can offer advice on the best options available and can arrange a visit to discuss things further. Written by APM Construction Ltd on 03 May 2016 . With the weather on the turn and spring in the air it’s making us think of those nice summer months just around the corner!! Family BBQ’s, a spot of gardening and relaxing in the sun. Now is the time to get that Summerhouse built, patio laid and decking done. Whatever you have in mind call us today for a chat about your plans! Written by APM Construction Ltd on 08 April 2016 . APM Construction have unique vision and design for all projects so whatever your needs are give Andrew a call to discuss your requirements on 07950 285473 or our Office on 01843 866 934. 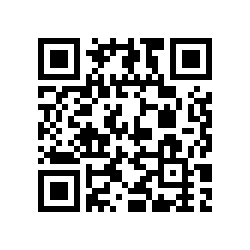 Copyright © 2019 APM Construction Ltd - Building Services in Kent. All Rights Reserved.